I detect from the results that any creativity and innovation with which I am often credited may be the result of always living in states deemed in the analysis to be “relaxed and creative,” including California, Idaho (my native state,) North Carolina, Utah and Washington. An extroverted friend of mine jumped to the conclusion that North Carolina is extroverted but this state falls in a cluster identified by low extroversion, low agreeableness, average conscientiousness, very low neuroticism and very high openness. Read the study which was published in the Journal of Personality and Social Psychology. It is far more enlightening than the red state-blue state typology, yet it includes political as well as economic, social and health correlations. By the way, North Carolina is 51% extroverted like my friend and obviously half introverted. Before retirement, I tested an “x” or right on the line between the two or about the state median. In retirement, my truer tendency to introversion is apparent. Of the other states in which I lived, Idaho and Washington were the most introverted in the study at nearly 60% and 70% respectively while Utah was the most extroverted at nearly 56%. California, like North Carolina, was right on the line. One way the difference is often explained is that both types are outgoing enough but extroverts draw energy from others while introverts are drained during the process of too much interaction and need quiet time to recharge. I participated in a Durham Rotary Club adaptation of a progressive dinner event last weekend. I felt drained by the large reception at stage one but rejuvenated by the smaller group of 8 in the middle which confirmed, indeed, that I am more introverted than extroverted in retirement. If there are any vampires out on Halloween this week, it is as likely they are energy vampires as the blood sucking kind. Introverted does not mean less open. On that scale, Washington, which was the most introverted of the states in which I have lived scored second highest at 57% after California at 65%. Idaho and Utah scored in the 45% and 48% on openness although the latter was far more extroverted. I suspect Alaska would score off the charts on openness if measured. My experience in less open states is that you have to incubate after arrival before being allowed to fully engage. In Alaska, if you come up with a new idea the day you arrive there, you are immediately put in charge of the committee to make it happen. That’s what I call openness. Even among the small percentage of the population who understand marketing as much more than merely a euphemism for advertising, it has always been amazing to me how many misperceive it as missionary work. Passion is important, but marketing is more about “sifting” than converting. Marketing is also more like making music than “yelling” which is another term for advertising. It may also be why at least one of the top ten community marketers in America has two degrees in music and why deafened consumers have simply tuned out advertising, giving it a negative return on investment. Before I explain the comparison of sifting and making music, I must point out an excellent New York Times op-ed earlier this month for anyone who missed it. It is entitled “Is Music the Key to Success” by Joanne Lipman. Those who misconstrue marketing as a type of “missionary work” are often “true believers.” Often drawn first to the organizations they market as fans, they view marketing as just a matter of “yelling” louder and louder. Seeing every consumer as a potential convert viewed only in the context of short term year-to-year budgets of plus or minus a few percentage points, they fail to see the more finite patterns apparent in the long view. Fortunately for the arts and culture sector of leisure activity, Americans for the Arts now provides one of the finest examples of strategic indexes available anywhere. The 2013 index was released last month. It was the source of my comment in a blog earlier that the share of adults attending live popular music concerts (rock, country, R&B, hip hop etc.) has been down—or at best flat—over the past decade. They have averaged 22.2% of adults, up a point some years, down a point others. According to the Index, live performing arts in general is down from 40% a decade ago to around 32% to 33% annually. Commercial giants such as Live Nation struggle mightily not to lose their share of this market, but as a result sculpt out the less mainstream performances that make communities distinct. Masking this flat demand is the fact that annual capital investment in new facilities such as theaters has increased 62% when indexed, while annual revenue from ticket sales to popular music concerts has doubled over the past decade even after being indexed to inflation. Annual non-profit arts revenue is up only 2%. While some feel secure by looking only at the short term, it is obvious from the long view that what looks like growth is dislocation. Arts and cultural organizations, as well as community destination marketing organizations under whose umbrella they fall, are extremely fortunate to have the indices created by Americans for the Arts. Other sectors should follow suit. The supply vs. demand imbalance is apparent in other indices as well. Facilities compete even more for resources and volunteers than they do for audience. Volunteering (on behalf of arts not in arts) is down significantly from a decade ago. Arts employment is flat. Local government contribution is back to where it was a decade ago, yet state funding is down by half. Private giving is also flat. Obviously, the National Arts Index has not resolved the imbalance of supply and demand, but it has made it more transparent. Over time, if communities and the consultants who serve them begin to use the index to inform decision making, it should help the arts avoid cannibalization. Equally useful, if not more, the Index benchmarks the competitiveness of arts and cultural in the overall ecosystem of leisure time. Here too, arts and culture has lost ground over the past decade despite powering up immense capacity. Understanding there is a leisure ecosystem is the first step. Knowing there are five or six conditions or trends impacting leisure that are unrelated to marketing is next. Having and using benchmarking data is crucial. Ultimately the solution for an ecosystem is achieving balance. Nothing is more true of a community’s overall marketing as well. Work can be hazardous to your health and I don’t say that just because I retired from a forty-year career to move on to researching and writing eclectic essays for Bull City Mutterings. Using swabs in the typical workplace, researchers determined that the average person touches 300 surfaces every 30 minutes becoming exposed to 840,000 germs. That’s more than 13 million germs each workday, and that doesn’t count the germs transferred when shaking hands with someone who doesn’t always wash up. The biggest source of germs? Break room faucets. I recently had my shots to inoculate me from getting the flu and pneumonia just as a text arrived from my health insurance provider with the tip that regular hand washing with soap could save more lives than any vaccine. Unfortunately, studies show that only 78% of workers say they wash their hands often and surveys reveal that 1-in-3 have been observed by coworkers leaving restrooms without washing their hands or using sanitizer. It also appears that the “observer effect” is just as powerful. Read Kevin Charles Redmon’s blog at Pacific Standard for links. Dr. Dan Ariely, a behavioral economics researcher who is based in Durham, North Carolina, where I also live refers to this as “reputational risk,” in his book The Honest Truth About Dishonesty. This is the single most powerful influence to ensure ethical behavior. Judging from what my lobbyist friends tell me about a few of their colleagues, especially those roaming free in local government, I suspect there is a correlation between sliminess and those who are too important to stop and wash their hands. In her book You – According to Them published last year, Sara Canady explains that these people suffer from the “Don’t Fence Me In” syndrome. They bully people, often in view of officials and under the noses of the news media because they feel entitled – entitled to operate under a separate set of rules. They feel invulnerable because they are henchmen for powerful interests who would never sanction their behavior but use them anyway, giving them “plausible deniability” as protection from risking their own reputations. Because people turn a “blind eye” or are embarrassed to report them, or are so revolted they just abandon the civic process entirely, this crowd feels no reputational risk. And from my observations, they also don’t wash their hands either. I met another Reyn recently, only the second one in my lifetime. We share a penchant for Harley-Davidson motorcycles. The other Reyn heads marketing for Rommel, the new owner of the Durham dealership. Knowing my former field was community marketing he pulled me into his office during a visit from their headquarters in Delaware. Coincidentally, we both trace our ancestry in part to two of William the Conqueror’s knights, whose Domesday Book successors first used the derivation of our shared first name. Each of those families made some ill-advised decisions back then. When William the Conqueror’s son Henry I died without a living male heir, according to his wishes my ancestors supported his daughter Matilda for the throne. After a struggle she lost out to her cousin who was crowned King Steven but by agreement, Steven was succeeded by Matilda’s son Henry II who ran into problems with Thomas Becket. The other Reyn’s namesake was among four knights who followed through on a comment by the King and murdered Becket. It only took another 800 years for us to connect on Facebook. During my visit to the dealership, the other Reyn was confused after a day of meeting with media reps and because he follows Bull City Mutterings, thought I might be able to clear up some things that just didn’t make sense. Rusty as I am I did my best and then referred him to Durham’s marketing agency where briefings of this sort are conducted for executives who are new to Durham. Rommel is a Delaware company that took over the Durham dealership a few months ago and instantly transformed it into the best in North Carolina and one of the best on the east coast. They also want to weave it seamlessly into Durham’s distinct personality so it is embraced as far more than Durham in name only. This includes reaching out to the Durham metro area while fending off some devious poaching. Hopefully, I was able to satisfy his interest in making the dealership embraced as far more Durham than name only but he had the right idea. Like the developer I mentioned in a post a few days ago, the new Durham Harley dealership seems to have a ready grasp of the importance of community identity, especially in a community with a deep sense of community pride and a distinct personality such as Durham. It is amazing how Harley dealerships differ. I’ve visited many both across the nation and in North Carolina. The staffing, the stock in both merchandise and parts as well as floor models and its service department in Durham under this new ownership group is the best I’ve encountered. It’s been an incredible transformation in a matter of months. I’ll finish this blog with another story about incredible customer service. Years ago on a road trip, I stopped in a store called Earth Origins Market to pick up a supplement. When I ran out back home, I tried to match the ingredients with some available in Durham but I couldn’t find anything that fit the bill. So I jumped online to order a refill only to find that they have stores mostly in Maryland and Florida and none anywhere close to me. I didn’t see a way to order their products online, so I used the “contact us” form to make a request about mail order. Nearly instantly I received a response noting that unfortunately the only way to buy their products was in stores and there were none anywhere near North Carolina. But the person responding to my email inquiry asked me where in North Carolina I lived. I responded Durham. He asked how many bottles I wanted and told me that if I would meet him in two days at the Sheetz near the RDU International Airport in Morrisville, he would have my supplies. Turns out he lives in a small town south and further east and commutes down to Earth Origins once or week or so. 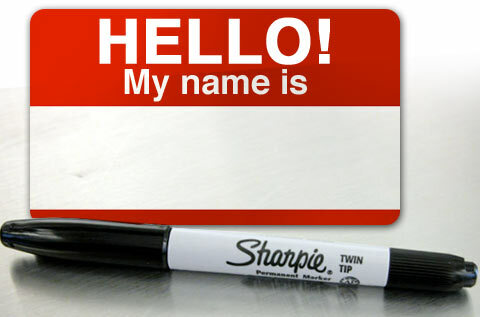 So I met him and picked up my supplies, although I think we must have looked somewhat suspicious in the parking lot. With that kind of attitude, I have no doubt Earth Origins will continue to grow and expand, hopefully in Durham. It is a bit disingenuous for the landlord of Research Triangle Park in Durham, North Carolina to call the only hotel actually located there an an “eyesore” during an announcement that it has been purchased with the objective of closing and imploding it by year end. A word spoken in haste, I suppose. This also made it extremely difficult to leverage in order to finance improvements or replacement as hotels often must do. It is a testament to its three general managers that it remains in good shape, if somewhat dated by its overall 40-year-old layout. Selflessly, two of these individuals were also at the center of helping Durham launch its first community destination marketing organization. When the hotel was built, Durham had about 1,500 lodging guest rooms, 38% of which were downtown and very few, if any, around RTP, which had been carved out of Southeast Durham farm and pinelands just four miles from the city center a little more than a decade earlier. The Park exists in a special Durham County district restricted to research. It is encompassed by the City of Durham. While it relies on Durham utilities and services, tenants there are exempt from paying a full share of property taxes. When the Governor’s Inn was erected, both the City and County of Durham were just over 40% of their current population. Today, even netting out the 198 guest rooms that will be lost with the closing of the Governors Inn – now called Radisson RTP - Durham has 7,500 commercial guest rooms with more than 300 set to come online next year alone and another 1,700 under development. Within a couple of years, Durham will have nearly 9,500 hotel rooms, six times the number there were when the Governors Inn first opened. But as savvy developers will tell you, hotels all come “out of the box” empty. These businesses don’t generate visitation by their sheer existence, they harvest visitation generated by the community where they are built. However, there is a good reason the number has expanded in Durham three times faster than the overall population. In 1986 Durham officials went to the NC General Assembly to secure permission to levy a special local option tax on the hotel room rate paid by visitors staying overnight in commercial lodging. The special tax had been pioneered a few years earlier by the General Assembly as a self-funding mechanism for promotion of Asheville and Buncombe County with 100% designated for community marketing. Used for marketing, economists note that the special tax would act as a pump to fuel a much greater amount of local tax revenue from increased overnight and daytrip visitation. But instead, Durham and many other communities sought the funds with no strings attached, hoping to augment general funds. 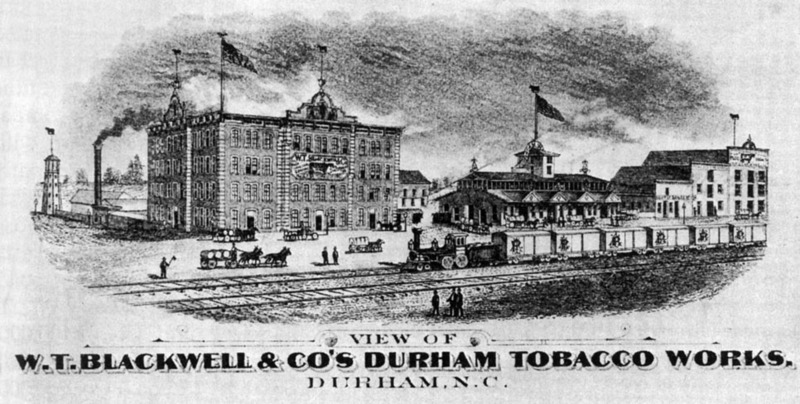 However, the legislature insisted that as a provision, Durham at least establish an official marketing arm. With no track record in Durham at the time, it was hard for local officials to see that when used as marketing as intended, the new funds would spearhead a 17 to 1 return, 6 to 1 fueled directly by the new marketing agency alone. Many in government at all levels fall into the trap of thinking only in terms of slicing up the pie and that revenue generation comes merely from raising the rate of taxation. But it doesn’t. It doesn’t confer wisdom on taking the funds out of promotion. In fact, it refers to falconry and that a hunter is worth far more than any amount of prey. Community marketing is the hunter that will bring back a far greater return than can be wrought by cannibalizing it. Durham Representative Paul Pulley, who passed away earlier this month, insisted that until the Durham Convention & Visitors Bureau became operational at the very minimum, at least 25% of the special tax be set aside for start up after which time the rest of the tax could be then be moved over for its intended use. Within a year, a committee chaired by Karl Lack, the first general manager at the Governors Inn, recommended that DCVB, as Durham’s official marketing arm, be chartered as an independent, public authority. Less than a year later a joint-city-county formation of the new marketing arm’s governing board was announced and less than a year after that, I was been brought on to oversee its start-up, which I had already accomplished in part for two other similarly-sized communities. However, by then, 3/4ths of the new funds meant to prime the pump to generate revenues for Durham from visitors had disappeared into general funds of local government where local officials had grown too reliant. Start up took on the task of also rallying private and public support to persuade the General Assembly to partially re-compensate for the revenues lost to general purposes by increasing the rate Durham could levy. Frustrated, while increasing funding for DCVB, Durham legislators, Kenneth Royall and George Miller hardwired its use this time. Legislators correctly anticipated that there would always be a group of three or four individuals including a complicit official or two who would scheme to pry it away. Because this was often the case not only in Durham but statewide, they also worked with other legislators to embed legislative guidelines to restrict the use of future funding of this type across the state. And they warned local officials that the next time Durham’s legislation came before the General Assembly, its overall use of the tax would be conformed to use guidelines with 100% going back to its community marketing organization, no less than two-thirds to be used for marketing and up to a third eligible for other tourism purposes including capital projects. Until such time, all of DCVB’s existing funding was legislatively restricted to only marketing. It even went so far as to define marketing in order to dissuade work-around artists. But less than a decade later, this surprised and frustrated local lobbyists desperately attempting an end-run to increase the special visitor tax meant for promotion to get funding instead for the Durham Performing Arts Center. After demonizing DCVB, deriding its board, chasing members down on hospital gurneys, lobbyists learned to their chagrin that Durham’s marketing organization would need to write a letter to the legislature on behalf of the project requesting an exemption and a delay in the conformation of Durham’s use of the tax. Otherwise, the intriguing project would have no chance of approval. DCVB’s credibility and track record, by then well proven, withstood the assaults and to the credit of its governing board, they were not distracted from giving the project full and dispassionate consideration. But DCVB proposed a different calculus, one that would be far more win-win. Those responsible for establishing the special tax as a way to leverage far greater taxable spending were also aware that the question wasn’t about the theater itself but about the funding. If, as eventually authorized, $1.4 million in funds intended for community marketing were used for debt service instead, the facility could possibly be an ingredient in leveraging about that much in local tax revenue. But if the amount was used as originally intended, to increase community marketing, it would generate five times that much local tax revenue, enough to fund the proposed theater plus another $7 million each year to help assist other cultural facilities and events. Proponents of the project, as Durham officials did so long ago, pushed instead for the money up front, shorting the community of at least $210 million in local tax revenue by short circuiting the economic model upon which the special tax had been founded. Seeing how stubborn the skepticism is among local officials everywhere regarding the strategic fruits of community marketing, other industries vigorously oppose adapting the special assessment formula to self-fund other uses. As one local official threatened in a closed door session, if the legislature tried to conform use of the tax meant for marketing, local officials would just repeal it entirely and moth-ball Durham’s community marketing organization. This “nuclear option” gives new light to the proverb about “cutting off your nose to spite your face,” as does leaving $210 million on the table. The taunts and slights are long forgotten and I don’t regret that decision to request a waiver, except for the fact that Durham again walked away from reaping revenue so desperately needed for other uses. A more strategic calculus could have so easily been both/and. Durham’s marketing arm has now long been recognized as a best practice worldwide. Its the first in North Carolina and among the first two dozen anywhere to receive International accreditation. That doesn’t mean there aren’t still a few individuals as there always will be angling to undermine it or pressure officials to try and siphon off funds for pet projects. Ironically, funds from the tax that would be eligible for grants are right there in local government general funds. If those aren’t growing fast enough, well they can only blame themselves. A pump can only generate so much at less than half power. Helping DCVB garner unparalleled approval ratings among local stakeholders, including opinion leaders, are many such as Governors Inn executives who have helped safeguard the integrity of Durham’s community marketing now for 20 of its soon-to-be 25 years. Now among its most ardent supporters is Wib Gulley, a friend and former mayor who after serving two terms on DCVB’s governing board including four or five years as an officer and two as chair, proclaims to other officials that while he was among the most skeptical when it was founded, he finds no other use of public funds as well spent. DCVB earned that accolade the old fashioned way. I remember meeting with Wib the month I arrived. I was given a few minutes to explain how destination marketing works to fuel the business climate and tax revenues while Wib juggled his baby boy Paul, now grown. I had to talk over some great rock and roll at Satisfaction’s which was in Lakewood at the time, not in Brightleaf Square where it has been for many years. Wib has become a a good friend but not because we hang out or golf on weekends or see each other socially. It is the type of friendship based on principle and trust. In all, over the years, we’ve probably exchanged less than a thousand words, usually when Durham’s marketing arm was under duress. I could always count on Wib to help me see beyond the sliminess of a given circumstance to a win-win outcome. So when they start swinging the wrecking ball in the next month or two, I’ll be toasting the Governors Inn and all that it has symbolized for Durham including Research Triangle Park. There are now more than 25 hotels in the portions of Durham encompassing the Park. Many legitimately use RTP as a locator because they are within two miles. But they all owe a great deal to the old Inn. He lives in Raleigh where his family has strong generational ties. Although the email address for his Durham employees and ventures still says Raleigh, he does have a very valid point. From now on I, for one, will defend his case and hope that I haven’t offended him in any way. Being called a Raleigh developer probably began not as a pejorative but when someone tried to distinguish him from indigenous developers with whom he has competed for tenants and resources. But the fact that he has a Durham base, pays Durham taxes and is proud of his Durham identity is Durham enough for me. Besides, one of his sons with whom I was an early collaborator on the mammoth project has relocated with his family to Durham. Drawing interest and investment from outside a community is one part of economic development especially on the premise they will hire local residents and use locally based suppliers. However, the centerpiece of economic development is always to retain and grow the businesses that are already there in a community, particularly those that are indigenous. But you know a paradigm has shifted when a developer from a rival community considers that label a pejorative, even in jest, and pleads the case as many do, to be given a Durham identity. Many in my former field of economic development are betrayed by failing to be loyal to the very community they accept money to promote. I remember some awkward conversations a decade or more ago in Durham. I had to gingerly connect the dots for two of my peers in Durham back then that when you take a community’s money to promote its development, embracing the home team comes with the territory. Here that means Duke, NCCU and the Durham Bulls regardless of your personal preferences. At the very least, you are honor bound not to make life difficult for local teams by being distracted with personal connections elsewhere or trying to do a favor for neighboring colleagues. That is the job of economic developers in those communities. These two peers dug an even deeper hole by trying to justify their allegiance to the Raleigh newspaper because the Durham paper had been bought by a company based in Kentucky. The room grew quiet when I pointed out that the Raleigh paper was owned by a California company. The term “local” refers not only to growing indigenous businesses, but to those who invest in facilities based in Durham and pay local Durham taxes. When you represent a community, it is important to fully embrace it, not just when it is convenient. That includes modifying previously-held personal preferences and alumni allegiances. Too many in my former field of community marketing as well as other types of organizations in development come off as generic hired guns because they always seem more attached to their field of work than to the communities they serve. They are easily betrayed when what they do seems “plug and play” and allegiance is paid to powerful interests over local stakeholders. They always seem more focused on where they will land next or the next rung on the ladder than on the job at hand. Because their focus is blurred, many are also ethically-challenged. Part of my job before I retired was advising relocating or expanding businesses on how to become “Durhamized.” I was pretty good at it, but gladly left that responsibility to my even more capable successor many years ago. As local officials often tell me, I’ve done a very good job of retiring. I’m not sure where I will be on January 1, 2014 when a major milestone celebrates its 100-year anniversary but I’ll be thinking about it in November as I survey Old Tampa Bay when I tag-along to a wedding. I’ll be standing along the seawall at Safety Harbor north of St. Petersburg where the peninsula between the bay and the Gulf of Mexico chokes down to just a few miles across. Looking South toward the narrow mouth of Old Tampa Bay, I’ll have a perfect view of where the very first-scheduled, fixed-wing commercial passenger flight crossed over just below Weeden and Picnic islands on its 23 mile flight path from St. Petersburg before landing at the mouth of the Hillsborough River in Tampa. St. Petersburg is the Durham of that polycentric region while Tampa is the Raleigh. The similarities are cultural too. St. Petersburg has a distinct personality including indigenous culture including a local history museum, founded after the flight which features a replica of the Benoist Model XIV seaplane, Number 43 flown by the St. Petersburg – Tampa Airboat Line. When not on scheduled runs, the seaplanes flew charters to and from places such as Safety Harbor where I’ll be staying and north to Tarpon Springs. The former mayor of St. Pete was the first passenger on the first flight, not because he was a dignitary or because the community underwrote the venture. He won that privilege at auction as many others did the first few weeks. His bid was $400. The regular fare for the trip was $5 and proceeds of the auction went to buy harbor lights for St. Petersburg. The two cities anchoring the route were about the same size then, just less than 10,000 souls each. But St. Petersburg, as is often true of communities with a solid sense of place, was the more entrepreneurial of the two and half its population turned out to see the first airliner take-off following a parade from downtown. Tampa sniped , “All airboat passengers have been from St. Petersburg and are apparently eager to get to Tampa.” A similar number came down to see the seaplane land with the first passenger. Back in the day, traveling across the bay between the two cities by steamship took two and a half hours, by train twelve hours. The new airline flight took 22 minutes. When I learned to fly a few years ago and before I came to the realization that cost and sheer logistics of flying as a hobby made it impractical for me, I flirted with the the idea of an ICON A5. The revolutionary new single-pontoon sport seaplane can also land on wheels and fold up to be transported like a boat. It even has a cool parachute that deploys in emergencies to bring the entire plane down safely. Then I realized it costs almost as much as a house like mine. While similar in some aspects, the Benoit seaplane used in that first commercial airline venture flew just five feet off the ground and even landed briefly in route that first day to tweak something because the engine was misfiring. With a two-stroke engine like my Harley Crossbones, it had 28% less horse power. St. Petersburg is known for other firsts, such as implementing a dual water system that reuses treated wastewater instead of putting it into the bay, which the newly founded EPA prohibited in 1971. It was quickly adopted by other communities up the peninsula and in other areas of Florida. But the entrepreneurialism behind the first airline began in Missouri not Florida where the Benoist Flying Boat was designed, built and tested on the Missouri and Mississippi Rivers. It was a boat engine salesman who lived in St. Petersburg who saw its airline potential. That first passenger airline ran until the snowbirds went home for the summer. It had only been a decade since the first flight in North Carolina or the “firster” flight now documented in Connecticut. The federal government made further commercial flights viable a few years later through research and development during World War I and after by subsidizing airmail routes that evolved into passenger airlines such as United. True innovation begins at the margins. Back then, airlines understood that while commercial aviation is all about the destinations, the flight to get there is pivotal to the overarching brand of travel, not just a means of transportation. Nearly two-thirds (63%) of spending on public benefits goes to working families, according to a study released last week by researchers at the University of California and the University of Illinois. These families make up 73% of enrollments in these safety net programs. Working families are defined as those where at least one member is working. While probably unintended, low wage industries are shoving costs off on to government, which is one of the rationales behind passage of the Affordable Care Act. A high proportion of these low wage workers - a whopping 87% - do not receive health benefits. In the case of fast food giants, more than half of their front-line workers, including the 28% fortunate enough to get 40 hours of work a week, are enrolled in one or more public assistance programs. This is twice as much compared to 1-in-4 Americans nationwide. This amounts to a $7 billion taxpayer subsidy each year for fast food businesses alone. The proportion of Americans in low wage jobs has ballooned to 4-in-10 nationwide, according to another study. Yet another recent study of U.S. food policy shows that “…huge subsidies are lavished on crops that become the ingredients for highly processed foods — including “junk” foods,” and other high margin staples in the fast food business model. The result is a significant part of the $11 trillion diet-related heath issues and lost productivity is pushed off on taxpayers and higher premiums for those lucky enough to have health insurance. Another report finds that the agriculture subsidy per taxpayer supports just over half an apple compared to 20 Twinkies, a junk food favorite where 17 of the 37 ingredients are taxpayer subsidized elements directly related to obesity, which burdens the economy with $150 billion in hidden costs annually. Fast food giants and suppliers also make up 1-in-4 of the top 100 businesses keeping outdoor billboards on life support ever since use by tobacco companies were outlawed. There is now an established link between prevalence of outdoor billboards and obesity. And billboards themselves require the sacrifice of trees and vegetation, robbing taxpayers of not only these publicly owned assets but their public health benefits, such as screening noise and particulates as well as purifying air and storm run off of pollutants. All of this amounts to a public subsidy of an unsustainable business model that relies on subsidized ingredients paying workers as little as possible while letting taxpayers pick up the costs. Recently, it was estimated that for fast food companies to pay a livable wage it would require adding only 68 cents to a popular hamburger, but economists countered that to please investors, the companies would most likely just trim labor costs. The not so veiled threat is that if required to do the right thing, they would hire fewer people, cut hours and push even more costs off onto the general public and taxpayers. It is not unlike the hubristic mentality that just ripped $24 billion out of the economy in 16 days. This is the same threat some of these businesses make about the Affordable Care Act and the requirement for health insurance to lower the burden on taxpayers. I’ve personally sat on legislative committees for two state restaurant associations. I’ve learned that there are many good people who want to do the right thing in these types of businesses but they are shouted down by small cadres of condescending extremists all too aware that they can’t go it alone or less honorable competitors would cut them to pieces. So this is where the free market breaks down because it rarely requires full-cost accounting. The minimum wage today is much lower than in 1955 when adjusted for inflation. We’re paying for the cost of subsidized burgers and fries whether we like it or not, whether we realize it or not. The low wage, taxpayer subsidy is not unique to fast food businesses, that’s just where I have the most familiarity having worked for forty years in visitor centric cultural and economic development. Similarly, a report updated last spring found that in another segment of the tourism sector, a typical 300-employee Wal-Mart Superstore shifts more than $5,815 per employee onto taxpayers each year or a total of between $1 million and $1.7 million in corporate subsidy per store. The tourism sector cannot make excuses by pointing just to how many employed there are students. Nearly 7-in-10 frontline fast food workers are not in school and are single or married adults with and without children. Two-thirds rely on that income as an essential component of family income. In my opinion this status quo isn’t working. We need to experiment with things like requiring health insurance and a livable wage rather than pushing costs off on taxpayers where anti-government types want to “drown it in a bathtub” as a way of controlling costs. The “drowning” metaphor is horrible when people’s lives are at stake. It is also bad for business. I’d rather start paying the “real” costs of things even if it takes a while to get things right. If you missed it, the reports cited are linked where noted in the text. Don’t take my word, click through and read for yourself, maybe while eating at a fast food business. Look in the faces of the people serving you and ask yourself if you would pay a little extra at the counter so they can make a livable wage. Reflect on the fact that more than 7-in-10 are women, more than 2-in-5 are minorities. Only 13% receive health benefits through their employer compared to 59% of workforce as a whole. You’re paying hidden costs in taxes anyway. 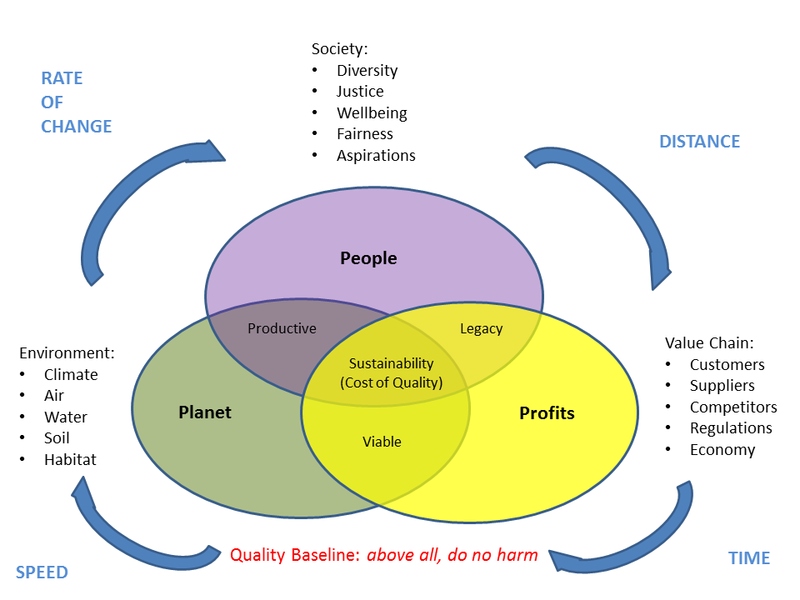 Isn’t it time for the free market to incorporate a triple-line approach to cost-benefit analysis? A few months ago I found myself explaining how digital textbooks work to three “digital natives” now in their first years of college. They seemed skeptical, probably wondering how someone in his mid-60s had a clue. I was explaining how you highlight or bookmark passages and how you can make notes to yourself and keep track of where you are in the book. I also described advantages such as keeping your place simultaneously over several different platforms (smartphone, tablet and PC) and the ability to search the text or quickly review highlights and bookmarks. The three young students were still skeptical, but intrigued. Digital natives are youth, 15-24 years of age with five or more years of experience using the Internet. Worldwide, there are 363 million digital natives. There is an excellent overview of studies purporting to show the importance of “physicality” to reading and learning for retention in the November issue of Scientific American. (I also read nearly all of my magazine and newspaper subscriptions online now) . 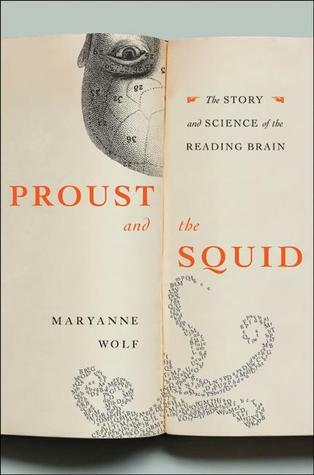 That term comes from a quote attributed to Tufts University researcher Dr. Maryanne Wolf, the author of Proust and the Squid: The Story and Science of the Reading Brain. Out of the nearly 200 books I’ve read since it was published in 2007, the same year the Kindle was introduced, this is one of only three read on paper. My Kindle has gathered dust for several years after my reading shifted to apps for smartphones and tablets the instant they were developed, including one for Kindle but without the Kindle. I also often download from Indie Bound so the credit goes to my favorite local bookstore. The magazine article notes that 20 percent of all books sold to the general public now are digital and it is well worth the cost of buying this particular issue alone. It is as much an overview of how our brains deal with the act of reading as it is about digital vs. paper. I am obviously biased, and I also read for different reasons at my age than people do as children or in school. But there is one part that resonated. If a document is particularly long, I find myself moving to a computer screen to read it and taking notes in an open email. Or, on rare occasions, I print it out and read it the old fashioned way. But I once read a 900-page book on my iPhone during stops along a 7,000-mile cross-country road trip prior to obtaining an iPad and found it more accessible and no more challenging to see than a paperback. Some print magazines now such as Sports Illustrated, provide only the first few paragraphs to a story, gradually fading out the text and then giving you an online URL where you can read the rest. I retain my paper copy subscription of that for the incredible photographs but read the magazine online. I can see the day when the entire magazine will be just photojournalism and teasers for articles online. This is also the future of community visitor guides. Techno-curmudgeons, many of them in their 40s, are being left behind without knowing it, probably still clinging to fax machines too. My friends and family have encouraged me to make a book of some of the personal and family history essays posted on Bull City Mutterings from time to time. It makes sense and I probably will one day, just not commercially. It isn’t because they like paper. Nearly all are digitally literate, even my soon-to-be 85-year-old-mom who moved to digital magnifiers thirty-years ago when she lost nearly all her eyesight in both eyes. I think those who encourage me to create a paper book of these family history essays seek to make them easier to read to and be read by young children in generations to come. I thought about all of this earlier this week during a reading to a very small group by Elizabeth Hudson, from her wonderfully illustrated book of essays “Wish You Were Here,” many of which have appeared in her “Editor’s Column” in issues of Our State Magazine. Her publisher is Bernie Mann, a friend of mine, who in 17 years has taken a small magazine with 20,000 subscribers to one that is perfect-bound with almost 250-pages per issue, no less than 60% editorial including spectacular photographs. Elizabeth and her team are rewarded with 170,000 paid subscribers and tens of thousands purchased on news stands. Both her book and the magazine are excellent exceptions I make to digital-only reading. She grew up near Farmer, North Carolina, a tiny crossroads community just north of the 51,000-acre Uwharrie National Forest and a little over 9 miles southwest down Old NC 49 from the American Classic Motorcycle Museum and Café that I often frequent on Harley rides. Her writing captures the essence of why so many of us transplants make North Carolina our adopted home. Standing in the rain last week at a ribbon-cutting, I surveyed the crowd for the handful of people who fashion themselves as “power brokers.” None were there, which is a sign the project is a natural fit, more filling in than wedging in, a “win-win” vs. zero sum and complimentary vs. silo. Dignitaries were there to show support along with many others who truly have power. But they were sprinkled among a far more abundant number of just regular folks who are passionate about Durham, North Carolina. Durham has always had one or two power-brokers, fortunately just not the kind who think they are. I’ve had the pleasure to know and work with three generations here going back to Mary Duke Biddle Semans and George Watts Hill. Rather than bullying or superimposing their will through heavy-handedness, Durham’s true power-brokers have been patient with process. Sense of place is about “gardening,” not “big game” hunting. It is something organic that can’t be stamped out factory-style. Two weeks ago I attended a dinner to honor one true power broker, Tallman Trask, and tonight I’ll raise a glass to toast the retirement of another, Wib Gulley, both of whom I am also honored to have as friends. The key to visitor-centric cultural and economic development is only revealed and fueled by good place-marketing. An indispensible pre-requisite is the existence of an authentic sense of place. Beyond a mere jumble of culture, sense of place, to adapt the words of another longtime Durhamster, relies on a genuine community personality. Power-broker “wanna bees” are often betrayed by their impatience with process and frequent use of force, including not-so-veiled threats sometimes. The “wanna bees” have a point, but while they may love Durham, it isn’t for what it is now nor how it came to be. This makes them puzzled by data and vulnerable to decision-making by hunch, and in extreme cases cannibalistic, because their worldview is zero sum, winners or losers. Often disparaged as DINOs (Durham In Name Only) even by those from whom they seek admiration, to me they are just afraid…and deeply suspicious of the organic nature of place evolution. I feel sorry for them, but they certainly aren’t exclusive to Durham, they just stand out more here as an anomaly. At least ten times that I am aware of over the span of my four-decade career marketing three different communities, power-broker “wanna bees” tried to get me fired. I learned to respond by seeking to understand them. In each of these cities I even helped one or two get on my governing board but they soon resigned, impatient with the process of governance or their inability to control a table of equals. I never let any of their attempts to “get” me affect working with them wherever and whenever possible. At the time he and I first met, I was jumpstarting Durham’s official community destination marketing agency, an organization charged with telling the community’s story and safeguarding its sense of place, a position from which I retired many years ago. Part of that mission included a thorough on-going analysis of Durham’s strengths and opportunities as a visitor destination. As it has repeatedly since, that first analysis revealed that the need for a museum of local history is, and continues to be, Durham’s most glaring cultural deficit, something also confirmed separately a few years ago by consultants conducting a cultural master plan. Comparing our community by facility-type and category, with the average of similar communities in the state, across the region and nationwide. Conducting research to determine a community’s visitor volume and participation in various activities to then compare against benchmarks nationwide. Scientifically surveying a community’s residents and opinion leaders to identify and generalize the cultural priorities of internal stakeholders. The analysis also ventured to suggest a self-funding mechanism to reinvest what would today be 1.6% of the local tax revenue reaped collectively by the city and county each year from visitors spending into development of a Museum of Durham History. Including operation and upkeep, that’s less than 2% which would be easily recouped by Durham’s ability to harvest its full share of visitor participation at historic sites and monuments from its annual visitor base, which is now 9 million. But as it has since first proposed in 1934, the idea of a Durham history museum continues to be leapfrogged by other needs, often disparaged during the process. In the meantime, Durham historic treasures have been lost when discarded by three subsequent generations who failed to understand their value. This may include the steam calliope that signaled shift-change atop “Old Bull,” a part of the national landmark which can’t be found. Appropriately, It imitated the sound of a bull, something I know from growing up on a ranch would certainly get your attention. All of this makes the “avatar” that opened last week even more impressive, but all has not been lost by the almost 80-year delay. Many overlapping working groups of determined residents have continued to discuss the project over this span. Undetected by impatient “list checkers,” each time these discussions have seemed to recycle, the concept has been re-informed along the route by more and more of what will ultimately make the real Museum of Durham History seamless and enduring when it becomes a reality. Sense of place is not about having a jumble of “palaces,” but a mosaic of natural, cultural and “built” place-based assets forming an overall and distinctive community appeal. It isn’t about being “world class” or “major league.” It is about having a distinctive “there” there. One thing that makes a local history museum similar to other types of cultural facilities is the proportion visitor-related admissions each year. What truly distinguishes this type of facility from others is that instead of going there to watch the outside world pass by, residents, newcomers and visitors go to a history museum to explore the soul of a community and to appreciate and perpetuate the temporal values and traits that make a community unique and distinct. In this respect, a local history museum is more a “cathedral” than a “palace,” a place to glean ideas for the future by understanding the innovations of the past. History museums are also participative and interactive, fulfilling the increasing need of Americans to modulate the amount recreational resources used at any given time. Durham is justifiably proud of the board of directors, staff, volunteers and donors for the MoDH and its new hub. This milestone is incredible and stands on the shoulders of Durham residents who have worked hard over the past eight decades to see it take this step. Story Telling . it will give children, students, newcomers and relocating executives a place to get in touch with Durham’s story. People who grasp that story are more inclined to be engaged as activists, volunteers and philanthropy. Synergy. It will augment Durham’s historic sites by providing exhibition space to stir interest in those locations, making them more sustainable. It will complement rather than undermine other cultural facilities and programming. Preservation. It will be a vigilant testimony to what makes the community distinct and unique and insulate its character and personality from the pressures of development and generica. Future Generations. As a repository of innovations and artifact, it will inspire future generations to build on the temporal qualities that make Durham, well, Durham…creative, entrepreneurial, caring, innovative, accepting etc. One of my favorite memories of my near-decade in Alaska are excursions across Prince William Sound which always included a stop near the face of the spectacular, tidewater Columbia Glacier. There are easier ways to see glaciers. There are more than two dozen named glaciers in or in closer proximity to the Municipality of Anchorage where I was in charge of community destination marketing in the 1980s. One is tucked into the very southwest corner of Anchorage where during my time there, we were involved in facilitating a far more accessible glacier visitor center and excursion. In fact, the idea surfaced when our organization conducted the community’s first inventory of potential visitor features. There are nearly 800 named glaciers in “The Great Land.” An expert once estimated there were 10,000 in Alaska in all. I expect many have vanished forever. Even Columbia Glacier has retreated more than 12 miles in the span from a year or two before I left Alaska until now, two miles in just the last six years. Icebergs calving off Columbia had multiplied by four times between when I first arrived in 1978 and my first visit to the glacier in the very early 1980s. By 1989, my first year in Durham, accelerated iceberg production off Columbia was of concern when the fully-loaded Exxon Valdez supertanker changed course to miss hitting one and hit a reef instead, spilling 750,000 barrels of crude oil. Today, the excursion to the glacier’s face is almost 20% longer than it was during my last visit. The fastest moving glacier in the world has also lost 1,300 feet of thickness. Climate warming causes land glaciers to lose mass from run-off, but tidewater glaciers are much more severely impacted. The Columbia is projected to transition from tidewater to land/shallow water by 2020 after retreating another 10 miles, making it only half the length it was when discovered in 1794. It will then be stable until the year 2100, according to researchers at the University of Colorado’s Cooperative Institute for Research and Environmental Science. I’m no environmental saint. In fact, I drive a Jeep and a Harley and use a commercial-grade blower to manage leaves and pine needles raining down from 110 towering trees on my little city lot a mile from downtown Durham where I still live after retiring several years ago. Many of my truly environmentalist friends seem on ideological autopilot, as do the few climate change deniers whom I know. A Yale University survey identified 13% of Americans as the former and 10% as the later. The majority of Americans were concerned or cautiously concerned. Even scientists who were climate change skeptics, such as Dr. Richard Muller who established Berkley Earth, have now confirmed that the unsustainable change in global warming we are now experiencing was set in motion by the Industrial Revolution of the mid-1700s. As he noted in an op-ed last month, Muller’s team even predicted the current lull. While this has caused some deniers to go on the offensive, Muller notes this is not the end of global warming. Deniers who aren’t robotic seem merely fatalistic, believing that eventually the earth will be uninhabitable again one day so why mitigate it. Fatalism may also shed light on why so few deniers access ideological neutral explanations such as the series of seven videos at this link. It doesn’t seem American to give up without a fight. Would these people be similarly fatalistic if economic freedom was at stake? Somehow, I don’t think so. This month in the scientific journal Nature, climate scientists pinpoint that 2047 is when the reality of global warming will be undeniable. They called it the year of climate departure, not the year of cataclysm, but the tipping point. Unless I live to be 100 years old, I’ll miss that departure, but my grandsons will only be in their 40s. The researchers index to a period beginning in 1860 and ending four years before I retired at the end of 2009. The point that “deniers” miss is that while the earth has always had periods of climate warming and cooling, the severity of the change underway is due to human activity, period. But all of the recorded swings have impacted humans. One need only look to those attributed to the so-called “little ice age” between the early 1300s and the late 1800s to see that. As my ancestors from North Carolina, Virginia, Pennsylvania, New York and Massachusetts were converging on the western slopes of the Rockies in the late 1840s, the snout of the glacier feeding the Rhone River extended 1,700 vertical feet further down the Swiss Alps than it does today. It has pulled back a mile in the past century. Click here for before and after photos and etchings documenting the change to this glacier and others over that span. The Portage Glacier attraction I helped evolve in the 1980s during my time in Alaska was a short walk from the road in 1914. By the time I was born, it was tidewater but still close. It was barely visible 15 years after I left Alaska for Durham, North Carolina and five years before I retired from community marketing. In fact, that glacier could only be seen by excursion boat or by air. In 2007, Durham, North Carolina, where I live set a goal to reduce or offset 90,000 metric tons of the greenhouse gases produced communitywide (city and county, businesses, residents and visitors) by 2030. Just 17 more years to go. Hopefully, part of the plan is to place its neglected urban forest canopy on the auction block. A few months ago, Shell Energy North America announced plans to offset 500,000 metric tones of its carbon emissions by buying into forest regeneration in Michigan. One of the companies selling the offset is The Forestland Group (TFG), a company headquartered in nearby Chapel Hill, North Carolina. TFG manages the largest portfolio of hardwood forests in the U.S. but the 3.5 million acres it manages in 24 states are diversified by species, geographic region and age including two areas in North Carolina. A study conducted by the Institute for Environmental Solutions as part of The Tree Project, concluded that tiny Golden, Colorado (pop. 19,186) could net $20 per metric ton per year by managing its urban forest. Colorado was the first in the nation to have communities band together to support urban forestry by mitigating climate change. Colorado’s urban tree canopy is only 13%, compared to 43% in North Carolina and 51% in Durham County, home to the state’s fourth largest city by the same name. Maybe scarcity helped Colorado cities and towns catch on more quickly. There is obviously great potential for revenue from Durham’s urban forest, as well as a means to meet its sustainability goal. Take a holistic approach to urban forestry that includes residential and commercial property. Begin to view its green infrastructure not only as a renewable resource but as an investment in not only quality of life but public health, crime reduction, water and air purification, as well as economic development. Overcome years of cutting urban forests short by investing in catch-up, much as it just did with street resurfacing. As California has already nicely laid out, selling urban forests as carbon credit is not like the song goes “playing the guitar on the M.T.V.” or “money for nothing.” It requires a detailed management plan. About five years ago the Congressional Research Service, the public policy research arm of the United States Congress, computed that afforestation of crop or posture land would have the potential to sequester between 2.2 and 9.5 metric tons of greenhouse gases per acre per year. Reforestation, including efforts to assist natural regeneration, would sequester between 1.1 and 7.7 metric tons per year. Durham’s forest yields would be on the upper side of those estimates. Durham also has many areas where afforestation and reforestation can take place including tree “deserts” and areas along the rivers and streams and basins that recharge its water supply. Like New York City, San Diego and many other cities, it could plant trees in its watersheds where they extend into more rural counties and count this as carbon offset as well. Tree planting could also be used to mitigate downstream runoff that affects Raleigh’s water supply, which comes from a lake built primarily in Durham during the 1970s – borrowing a page from a tree planting project initiated by Congress and President Reagan. During the mid to late 1980s, the Conservation Research Program was used to incentivize private property owners to put sensitive lands back into forestland, stream buffers, wildlife habitat, wetlands and ground cover. At Dow Chemical’s Seadrift Plant, engineers planted 110 acres of trees to do the job of a proposed water treatment plant at 3% of the cost. Iowa-based Ecolotree has learned that a thousand willow trees on an acre of land can treat ten gallons of toxic water per minute. Care and deployment of Durham’s urban forest as a form of environmental capital and green infrastructure would include not only tree planting but thinning out brush so both over story and under story trees and vegetation can reach optimal effectiveness. I hope those responsible for meeting Durham sustainability targets are already aggressively pursuing this. Fall has always been my favorite time of year, anchored in my psyche during my early years. On the ancestral cattle ranch of my family, chores seemed to taper off as the air grew thin and a haze settled in as the snow line drifted lower and lower along the Rockies. Thanks to his generosity, with permission I have included in this post an image taken by Glenn Oakley from the ranch side of the Henry’s Fork showing the view of the Tetons framed by sagebrush and Lodgepole pine forests. This time of year, the forests there are ribboned and blotched with yellow bursts of Larch and Aspen trees. Fall is also when the water level made it easier to wade the river fly-fishing and when the trout, including native Cutthroat and Rainbow, grew more aggressive. There was also a hell of lot less competition from insects. It occurred to me streaming Foyle’s War recently (remember, a year ago I cut the cord on subscription television entirely so I now surf Netflix and Hulu) where the lead character in this crime drama set along the coast of England during World War II often fly-fishes, that during my lifetime, I’ve tended to compartmentalize activities to certain places I’ve lived. Even though fly-fishing fulfills my need for solitude and regeneration, I never picked up a fly rod again after college even though there was more than enough opportunity during the three decades I lived in Alaska and here in North Carolina. Same with downhill skiing, which I left in Spokane when I went to Alaska and cross country skiing, which I only did during my decade there, even though there are places enough to do both in North Carolina. While I’ve lived now in Durham, North Carolina much longer than I did in my native state and it is so heavily forested and I can “leaf-peep” from the nook where I write, it is much more difficult to see the “forest for the trees” here. The Henry’s Fork flows a mile from the ranch as it dissects Fremont County, Idaho north to south in that Yellowstone nook of Idaho about 40-50 miles above where the river finally merges with the South Fork in Madison County to form the incredible Snake River just south of Rexburg, at 25,000, the only “big” town along the Henry’s Fork. Ranchland including that used to raise forage also divides the northern part of Fremont County from the rich potato farmland down in the southern half, as does the type of fly-fishing. But growing up we didn’t have any idea the Henry’s Fork was famous. It was just the river. Its fame wasn’t brought to my attention until I was in my 20s as I was forging a now–concluded forty-year career in community marketing that began in Spokane, nearly 500 miles further north along the Rockies. I was working to land a future annual convention of the Outdoor Writers Association of America for that community when the local OWAA contact working with me on the bid learned that I had grown up along the Henry’s Fork. He pulled out the May 1975 issue of the now 125-year-old Sports Afield, to show me an article by Dr. Ernest Schwienbert. Prounounced SHVEE-bert, the author was already known to me by then as one of the founders of the now 140,000-volunteer Trout Unlimited, a conservation partnership founded when I was 10 or 11 years old. In the article, Dr. Schwienbert declared the Henry’s Fork one of the best fly-fishing streams. It was news to me but the river was already legendary to enthusiasts worldwide. Protecting this north source of the Snake River had also been part of the rationale for setting aside the 1.8 million acre Targhee National Forest in 1908. It’s all part of what is now known as the 12-million acre Greater Yellowstone Ecosystem which is centered around the world’s first national park established in 1872. The ecosystem protects the source of three of the nation’s mighty river systems emptying basins that cover 80% of America. Also unknown to me until an excellent article appeared in the Fall issue of Trout Magazine was that three years after Schwienbert’s article the Idaho Fish and Game Department (IDFG) started to change its approach to managing Henry’s Fork trout moving from fish hatcheries to wild fish management. Dams were built on the Henry’s Fork beginning a hundred years ago a couple of decades after my great-grandparents and grandparents began to homestead ranches along the river. This was also about the time the Idaho legislature first authorized the use of fish hatcheries as a work around to dams used for irrigation and hydroelectricity. A decade after I was born IDFG started to conduct in-depth research, and by 1978 as I left Spokane to head community destination marketing for Anchorage, Alaska, Idaho was taking a different approach with a “wild” trout management policy along the Henry’s Fork. By the new millennium, Idaho ceased using hatcheries to manage fish populations in the Henry’s Fork. About the same time, the US Bureau of Reclamation began began establishing agreements with irrigation districts such as the one jointly for Fremont and Madison counties. Conservation interests were included at the “table” where policy was calibrated among the various interests along the river. People who call themselves “power-brokers” fear cooperative approaches such as this where everyone is at the table as equals. Feeling they have unique vision and insight, they fear “collaboratives” as a place where “anyone can say no but no one can say yes.” But as you can read at this link to an article in Trout Magazine, it has worked along the Henry’s Fork. The river today is as healthy and abundant as it has been since settlement began in the late 1800s. Too important for any one user group’s vision alone, according to the updated Henry’s Fork Basin Study, the river provides irrigation for 280,000 acres, $100 million in ranch and farmland sales and drinking water for tens of thousands of Idahoans. The river’s tiny basin generates about 20% of the state’s productivity. It also annually sustains $29 million in tourism/recreation spending such as fly-fishing (potentially, $49 million with proper management of the river) including jobs, before ultimately contributing approximately one-third of the Snake River’s flow in eastern Idaho as it archs toward the Columbia River and the Pacific Ocean. Makes me almost want to pick up a rod, get off the shoreline and wade in with my grandsons. Once again I’ll miss the Travis Tritt performance when the country singer returns to Durham, North Carolina’s historic Carolina Theater next February. In part, this blog post will try to shed light on a number of conditions responsible for concert attendance being down - or at best flat - in the United States for many years including several high profile closings in the news recently. In fact, I may be part of this problem. Hint – the conditions impacting the live performing arts have nothing to do with lack of awareness, nor are these conditions something marketing can resolve. As I joked with a long time theater executive last week, after four decades in community marketing and cultural and economic development, I don’t miss it for a second. Empathetically, he noted he will probably never enter another theater when he retires. The motivation for researching and writing essays from time to time, such as this one (more like a chapter,) are inspired by a feeling of obligation to give back to young people just starting out in my former field, as was so often done for me early in my career. In this instance, my reason for missing Mr. Tritt’s performance is that it occurs just a few days from when I have made prior plans to attend a performance a few blocks away of The Book of Mormon, thanks to a friend’s season tickets at the Durham Performing Arts Center. While my involvement lapsed many decades ago, Mormon is my ancestral religious heritage going back eight generations. Ever since the now-acclaimed musical debuted on Broadway more than two years ago, my niece, a returned missionary, has been singing its hilarious songs. As I recall, Mormons are known for their sense of humor and poking fun at their culture, but no culture is eager to be in the cross hairs of the geniuses who created South Park. However, if memory serves me, Mormons are also resilient and good at turning what may seem a disadvantage into an advantage. Very telling is that news reports note that the Christian faith (Mormon is a nickname) has even run notices in the performance Playbill distributed to attendees at the door and some attendees have even been inspired to convert. However eclectic my personal musical tastes are, they lie far more toward country than Broadway musicals. But I also spent a now-concluded four-decade career in community destination marketing, in part trying to weave arts and culture of all genres into overall community brand appeal. This included helping performance venues harvest the 4.5% of visitors who will attend concerts on a trip including just less than a percent for which the performances are even the main reason for the trip. Among daytrip visitors to integrated destinations such as Durham, which has long been noted for weaving the arts into its overall destination appeal, the proportion of visitors attending concerts can nearly triple, with 1-in-4 taking in a concert while on trips made for other purposes. Visitors now make up 70% of attendees at Durham’s seven largest performing arts venues or nearly 420,000 admissions annually, including one venue regularly ranked second or third highest in attendance nationwide and in the top 10 worldwide among venues of its type on quarterly metrics. Studies of cultural vitality show that Durham’s ability to draw attendance from outside its borders outstrips its comp set and is also 72% greater than the national average, evidence that awareness is no longer an issue. Overall, if you include performances in venues such as places of worship and schools, close to a third of Americans attend a concert during a given year. But less than 5% attend any one particular musical genre such as country in a given year. Rock is an outlier, drawing 11%. Collectively, touring Broadway productions such as The Book of Mormon have 13 million admissions annually, down about 20% from 2010 and 30% from a peak in 1996. An average of between 30 and 40% attend repeatedly as season ticket holders according to the Broadway League, so by my calculation, between 3 and 3.5% of American adults attend touring musicals and plays. The problem with averages is that each type of performing art draws from a different demographic. For instance, particularly in the South, touring Broadway skews much older, much more female, much higher income and overwhelmingly Caucasian, compared to the general population. But for me, there is more for me to the significance of Tritt’s visit to Durham. In 1989, just as I was being recruited to Durham, where I still live, Travis Tritt was one of a handful dubbed as “hat acts” to hit the charts because they often wore hats and they once again steered country music back to its more traditional sound. Others included Vince Gill, Alan Jackson, Clint Black and of course, Garth Brooks. These artists stepped into the boots of performers like George Strait and Keith Whitely, who died suddenly that year just as Tim McGraw, another “hatter” arrived in Nashville. In a few years he was also on the charts, along with two other “hatters” Toby Keith and Kenny Chesney. But as much as I still listen to these artists today, I must admit I have passed more than once on seeing each of them in concert. More indispensible to members of the bellwether “Creative Class” are the more “eclectic,” “indigenous” events that offer a “multi-dimensional” “smorgasbord” where one can go to maximize recreation. Why? Simply because they allow people to “modulate the level of intensity” and involvement, to use Florida's words. For communities seeking to be attractive, it is a both/and proposition, but far more appealing are the latter and that is a hurdle for those operating large-scale facilities. People turn away from concerts because they require a four hour time commitment, more from daytrip visitors who must commute from other communities. Often the view at concerts is disturbed by late arrivals or people unable to hold it until intermission or by people jumping up and down or standing to watch, oblivious to those behind them. Often, even excellent facility or imported sound is a disappointment in comparison to recordings or streaming concerts and there is no way to fast forward past less interesting pieces to favorites. There is also no way to modulate the cost of tickets, concessions, parking and other fees involved. These are only a few of the reasons that concert promotion today is about so much more than merely increasing awareness. I’ll note more of these conditions below but a key influence on the struggles of performing arts attendance is that consumers now have so many other less “mainframe” ways to experience what concerts provide but with better sound quality, flexibility and with the option to tailor to one’s taste at much lower costs. It is not really the fault of those operating or programing facilities that “big ticket cultural events” appeal to shrinking demographics. But many seem slow to adjust to the findings of numerous studies and analyses noting that merely “amping” up efforts to draw attention is not the solution. There was a time several decades ago when awareness really was the issue. Many of us involved in community-destination marketing back then worked hard over the 1980s and 1990s to persuade cultural facilities and events to embrace marketing. Adoption of that advice seemed to break along gender lines. Female cultural decision makers tended to view marketing holistically, but in general, male decision makers were very slow to embrace marketing as anything other than advertising, an element already in decline even back then, and now a negative return on investment. Often this was due to what analysts back then called the “ego effect,” the same thing that mires so many old-school hoteliers in direct sales. These are only two of several elements of a marketing blend and for several decades now they have been the least productive. Similarly, this is why males more often fall prey to “crony marketing,” seeking advantage and favors based on “who they know” or so-called “power brokers” or seeking through cabals and surrogates to co-opt others into doing their job. None of which makes for effective marketing. I presume I was only saved from this fate of gender by early adoption of information-based marketing decision making, but the phenomena is prevalent nation-wide. While I’ve worked with some of the best in the three cities I served, none were immune. Several years ago, I was asked to co-chair a joint national panel of cultural and community destination marketing executives. It was while chairing those sessions that I was first introduced to the growing tendency of some in performing arts to adopt a bullying technique similar to the one long plied across the nation by a few who operate hotels. Desperate, they attempt through cabals to co-opt marketing meant for the community overall and re-direct it instead to substitute for their own responsibilities. This led one long-time arts representative on the panel to joke that a reduction in testosterone was in order. This self-defeating behavior seems to thrive where there is a basic misunderstanding of “roles.” As one enlightened hotelier put it, community marketing is about tomorrow, marketing individual businesses is about today. In other words, one is strategic and the other tactical in nature. Joking about too much testosterone aside, there are good reasons for rising feelings of frustration and desperation among those involved with performing arts and related events and venues. While studies show that over the past century, hours worked per employed person in the U.S. have fallen from 2,700 to about 1,600, this doesn’t mean an increase in leisure time, which remains the same as it was in 1900. In fact, researchers believe “pure” leisure time has actually declined since 1965, especially for women and much of what seems like leisure is really now “fragmented” leisure. Even on weekends, only an average of 1-in-10 hours of so-called leisure time is available for attending events such as sports or concerts, including travel. In the meantime, competition for this narrow slice of leisure time is fueled by an ever increasing flood of options that continues to increase exponentially including live concerts streamed over Netflix and via websites. Leisure activities literally cannibalize each other, leading to desperate hubristic attempts to divert resources meant for overall development, which ultimately undermines a community’s overall appeal. Economists have long warned that increasing the supply of opportunities to participate in an activity does not lead to either an increase in the proportion of the population who participate in an activity nor the amount of discretionary spending devoted to that area. Instead, if the increased supply (e.g. performances or performance venues) is not carefully calibrated, a dislocation of existing demand occurs, creating disruption when existing demand is divided into smaller slices. The same is true of underwriting and volunteers. This is particularly tricky in a regional context where the balance is even more fragile. If one community seems to buck the trend, it very well may be that another is being eroded. Both feasibility consultants and enthusiasts often fail to explain this to decision-makers and those who do are often ignored, especially when zero-sum power brokers are involved. At the margins, the effects can be invisible for many years but not, if they are looking close enough, to those charged with filling seats and recruiting sponsors. Behavioral economists also know that the more opportunity there is to participate in an activity such as attending concerts, the less urgency consumers feel to participate and more they gravitate to alternatives that require fewer recreational resources. For instance, it is no surprise that touring Broadway attendance has declined as the number of theaters involved increased. No amount of marketing or increased awareness will make a difference because it isn’t lack of awareness that is the problem. It is a paradox that the more opportunity there is, the less urgency there is to participate. In time it catches up with all venues. According to the Census, about the same percentage of the population attends some type of concert in a given year (including those in schools and churches) as will attempt to bake something in the oven. As I noted earlier leisure activities are in competition with the broad spectrum of other leisure activities. Marketing a community to draw visitors can certainly expand the pool somewhat but that dissipates once participation in an activity exceeds the fair market share visitors interested in that activity. Officials seeking to enrich a community’s cultural vitality should take their cue not from enthusiasts for a particular activity or those with self-interest, but by seeking diversity and balance of offerings. It starts by asking the organization responsible for visitor-centric cultural and economic development to identify where a community is underperforming compared to its potential and competitors. Performing arts venues in North Carolina will now be required to add a 7% tax to tickets instead of 3% because a loophole has been closed. Some communities such as Raleigh are a seeking competitive advantage by seeking to again exempt non-profits, creating an unfair advantage. It is not clear whether those who vehemently objected a decade ago to a menu-approach to visitor related taxes, as those behind a new theater in Durham did, now understand the cost of their shortsightedness. At the time, a 1-2% tax on admissions such as exists in South Carolina and other states would have been used to finance facility construction and upkeep of cultural facilities. Now there is a 60% increase in the taxes paid by on admission tickets with none of it earmarked for those uses. Even though facility operators raise the most fuss, taxes such as this are predominantly paid by consumers, not organizations. But ticket prices since 1989 when the “hats acts” launched have risen by 400%, more than two and half times inflation, a far greater inhibitor than any amount of awareness marketing can overcome. Only 1% of all acts now rake in 56% of all concert revenue compared to 26% in the mid 1980s. This greed has left little room for discretionary consumer budgets to absorb the increase. The top 5% of performers now take in nearly 90% of all revenue. Add in special parking fees, $10 cokes and other hidden costs and it isn’t hard to see why it is now harder to motivate the small sliver of Americans inclined to attend concerts. It’s a problem worthy of desperation but lets not blame it on closing a tax loophole, which for profit-making enterprises will be more than offset by a reduction in corporate taxes. Awareness is no longer the problem nor the solution for performing arts venues. Its issues are systemic and go far beyond what any amount of amplified marketing can overcome. Arts and culture are a type of ecosystem and so is a community’s overall visitor appeal. Leaving portions under-resourced when new favorites evolve is a formula for predatory behavior and cannibalism that only sows the seeds for decline and erosion of those facilities that make a community unique. Any cultural master planning for new facilities and events should include a plan for not only what’s wanted but more importantly what’s warranted to fill gaps in cultural infrastructure. Equally important but almost always neglected, this planning must link a plan to increase resources for upkeep and nurturing of existing facilities when new ones are added. Cultural planning should at the very least include a plan for obsolescence and moth-balling, or better, adaptive reuse of existing facilities and events to serve a an area of the cultural ecosystem that is underserved. These are not outcomes that should not be left to predation or “power brokers or the fatalistic churn endorsed by some developers. And siphoning off community destination marketing resources is not the solution to poor destination planning. Marketing a community is a role distinct from the responsibility to market individual businesses or cultural facilities or events. Examples across the nation are legion of the disaster inherent when either role is usurped by the other.